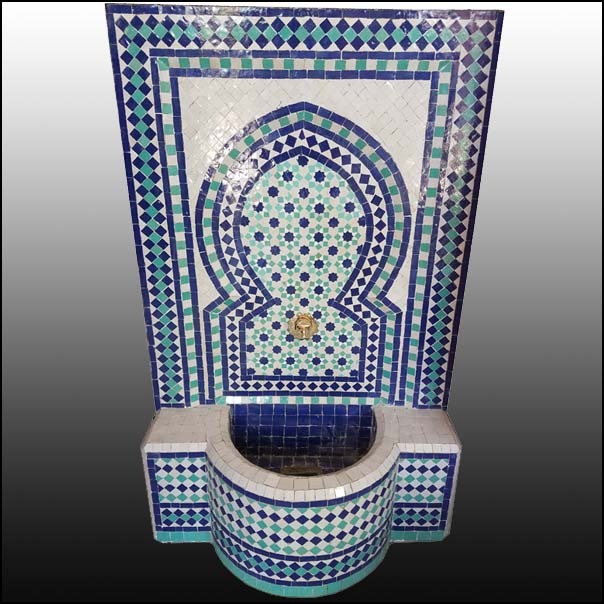 Blue, white, and aqua clean style mosaic fountain made in Morocco. Approximately 40″ high and 24″ wide, and comes with a copper spout and a raised middle arch for a much more exquisite look. Lots of detail and handcraftsmanship. Perfect for indoors / outdoors. Please email us your zip code for a shipping quote, and call us / email us if you have any questions or need additional photos.